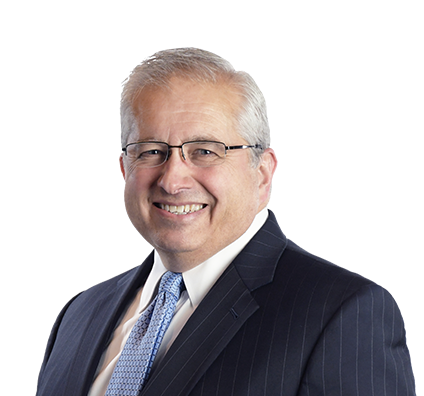 A noted and trusted product liability defense lawyer for manufacturers of industrial and agricultural equipment, Frank has served clients in 46 states and tried 80 cases to verdict. Drawing on more than three decades of experience with the engineering and physics of equipment and mishaps – along with deep forensic know-how – Frank helps clients defend their devices, products and materials. He is skilled at breaking down and explaining highly technical evidence to juries in cases alleging product liability and personal injury. Frank shares his vast knowledge by advising clients, engineering groups and marketing groups on how to manage the product design process to assess risk and improve product safety. He works with clients across many industries, including material handling and agricultural equipment, consumer products, vehicles and chemical manufacturing. Won complete defense verdict in case where plaintiff who was injured while using forklift alleged negligence and strict product liability. Defendant contended that plaintiff failed to keep his body within protective confines of operator compartment in contrast to training and warnings. Plaintiff was represented by nationally recognized Reed Morgan of "McDonald's Hot Coffee" matter. Obtained defense verdict in case where plaintiff alleged she was injured because of negligent maintenance and/or repair work to the lift truck she was operating. Defendant argued that plaintiff failed to keep her service brake functional and failed to keep her body within protective confines of operator compartment in contrast to training and warnings. Obtained verdict of no liability for client sued in case involving carbon monoxide poisoning of Wisconsin couple. Defendant provided alternate theory regarding reason for carbon monoxide in house. Obtained defense verdict in case involving worker who was killed while operating sand and gravel conveyor belt. Won complete defense verdict in wrongful death action involving design of a stand-up, counterbalanced forklift truck. Defendant contended that design was compelled by governing industry regulations and proper design considerations, but that plaintiff failed to keep his body safely within confines of operator compartment. Defended major chemical company in mass tort case involving release of hydrogen chloride gas and chloromethane compounds at plant in Louisiana. At one point, there were nearly 5,000 plaintiffs and more than 80 lawsuits. Ultimately, more than half of plaintiff cases were dismissed. Results of seven-week trial involving eight bellwether plaintiffs were so successful that remaining cases settled for average payment of approximately $5,000. Represented Archdiocese of Milwaukee as senior trial attorney in Chapter 11 bankruptcy. Successfully argued two appeals to U.S. Court of Appeals for the Seventh Circuit. Won complete defense verdict for manufacturer of material handling equipment. Jury also awarded significant judgment for costs in excess of $250,000. Successfully defended client in three-week patent infringement case in Toledo, Ohio. 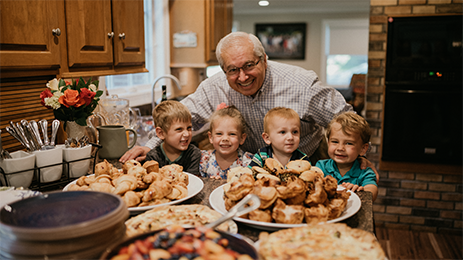 A devoted family man with eight children and nine grandchildren, Frank has made a hobby of high-end French baking in recent years. He concocts cakes, croissants and pastries, much to the delight of his large family. In 2000, Frank became the senior litigator for the Chapter 11 bankruptcy of the Archdiocese of Milwaukee, which reorganized its financial affairs to address actions by priests who harmed children decades earlier. In subsequent years, Frank has developed a niche practice representing other dioceses and nonprofits in litigation involving alleged sexual abuse. Resolving these claims creates a path toward healing and allows the clients to return their full attention to their charitable missions.